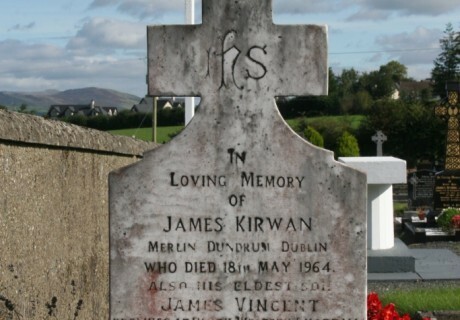 In loving memory of James Kirwan Merlin, Dundrum, Dublin who died 18th May 1964. Also his eldest son James Vincent drowned at Perth, Western Australia 20th Dec. 1970 aged 37 yrs. 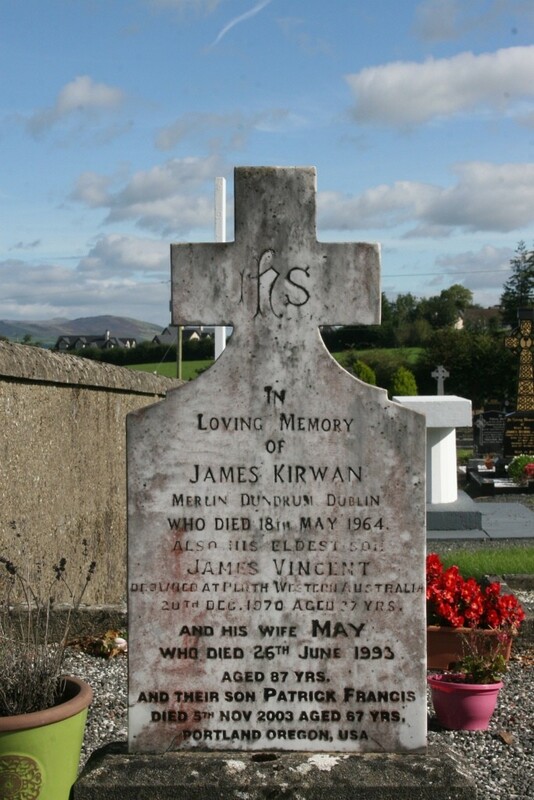 and his wife May who died 26th June 1993 aged 87 yrs. and their son Patrick Francis died 5th Nov. 2003 aged 67 yrs. Portland, Oregon, U.S.A.